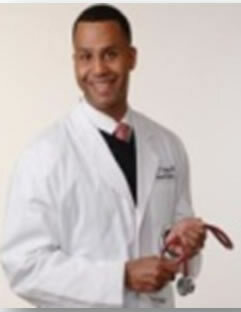 Keith Rigsby, MD is a graduate of Jackson State University and received a Bachelor of Science degree in Biology in 1998. Dr Rigsby went on to medical school at the University of Tennessee Health and Science Center where I received my Doctorate of Medicine in 2003. It was during this time that I began to see the importance of being an independent practitioner. Focusing on Internal Medicine as my specialty after medical school and completing my residency at Methodist Dallas Medical Center in 2006. Upon completion of my residency I joined the Dallas Hospitalist group of Methodist Dallas Medical Center and was also select to join the teaching staff. Shortly thereafter I was elected by the Graduate Medical Education Committee to become an Attending Physician. It was from this experience I was asked start the Hospitalist program at Methodist Mansfield Medical Center. One year later the Hospitalist program was up running successfully, I left Methodist Mansfield to pursue my career as an independent physician. Working as Locum Tenem at Navarro Regional Hospital it was there that I was presented with the opportunity to become the Medical Director of Hospitalist Services at Ennis Regional Medical Center in 2008. As Medical Director in Ennis I began to see the need for more outpatient care in the southern sectors of Dallas-Fort Worth area and so I established an Internal Medicine clinic in Ennis. Throughout the years I have worked with various hospitals, nursing homes, hospices, and home healthcare agencies all in an effort to improve post-acute care, patient transfers, and advance the discharge process. Still working on ways to improve the outpatient process, I joined two other physicians in opening the Urgent Plus Care Center of Ennis in 2013. I went on later to establish the VIP Healthcare clinic of Ennis in 2014 which has been great source of medical assistance to the community. VIP has improved access to healthcare by caring for the elderly and providing the appropriate level of care on an outpatient basis.